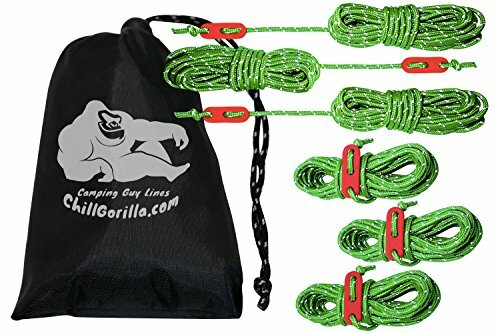 1/4" Neon Reflective Guyline Camping Tent Tarp Rope 50' Line Cord Paracord GuideCategory: Guyline Kit1/4" Neon Reflective Rope 50' Guyline Camping Tent Tarp Line Cord Colors Shipped Randomly !! Available colors: Yellow and Orange shipped randomly.Super bright neon color with reflective strip easy to locate. 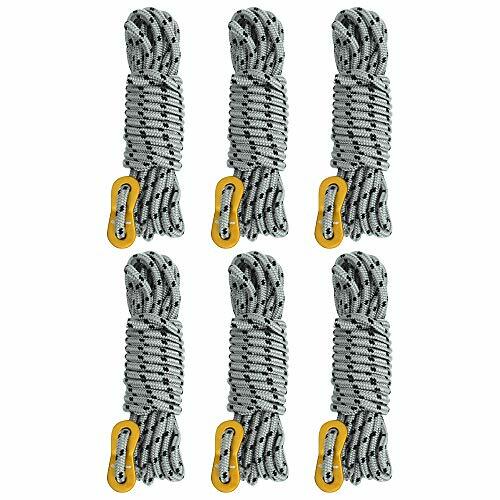 Higher visibility is safer than typical rope, reducing trips and falls. 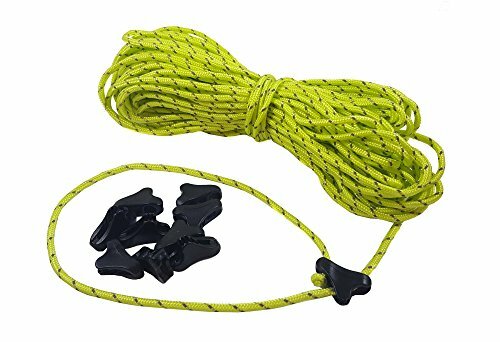 Perfect for camping, boating, fishing and construction projects. For use with tents, canopies, tarps, and securing light cargo, holds knots securely. The measurements are 1/4" thickness, and 50' length. 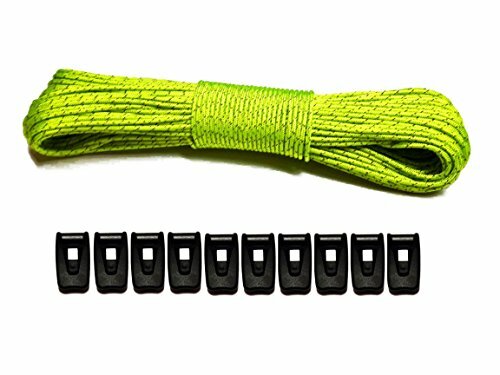 West Coast Paracord Metal 3 Hole Tensioner Guyline Adjuster with a Figure 9 Descender Ring Three Hole Connector - Great for Tie Down Tent Shade Canopy Camping Hiking BackpackingCategory: Guyline KitHas your tent flown away? Have those cheap little plastic tensioners broke? Or maybe you just don't trust them. Look no further! West Coast Paracord's Metal 3 Hole Tensioner is here to fix your tent AND your emotions. Don't stress anymore when you're out hiking or at the beach and you think your tent is going to be seen rolling away like a tumble weed. Or worse yet when you're in it! You know when you're lying in your tent at night and suddenly, a huge gust of wind blows and pretty soon you've become the new tent stake holding it up. Not any more wind! Strap down that tent with this sturdy and durable 3 hole tensioner.This tensioner can also be used for hundreds of other things! 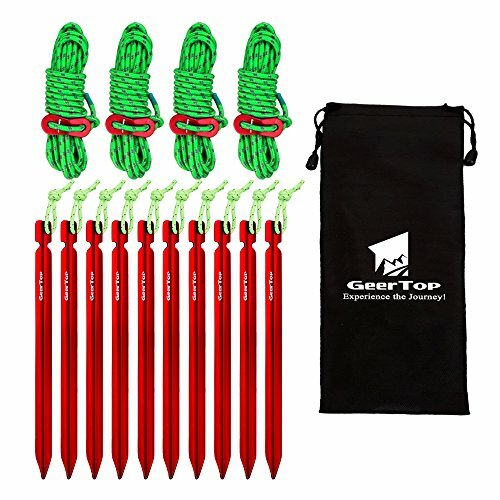 Do you need a tiedown that isn't big and bulky? This is the one for you. How about hanging your hammock to the tree? This will work great!Specifications:-Manufactured to be a lightweight and durable tool made from aluminum (Black, Blue, Orange, Red) or Stainless Steel (Silver)-Made with 3 holes for more secure knot-Simple design for easy use-A must have for any outdoor enthusiast!-Size - 1.93 x 1.46 x 1.10 inchesUses:-Tie Downs-Tents-Shelter Shade Canopies-Camping Gear-Hammocks-Camera Straps-Tarp Tie Down-Hanging items-Backpacks-Hiking-Belts-Harnesses-Hanging small to large items-Securing camping rope-And much more! 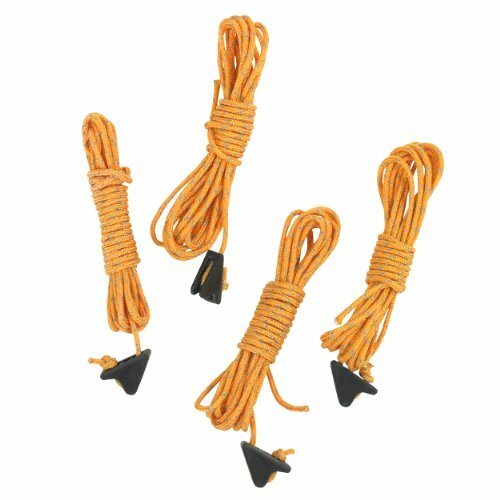 Triangle Rope Buckle Guyline Cord Adjuster Black 15pcs for Tent Camping HikingCategory: Guyline KitMade of Aluminum alloy material, light weight, convenient to carry.Good helper of outdoor adjust the rope,help to lock the cord and prevent it skids away.This is a new design products, more convenient and easy to use than other products.Ideal for camping,hiking,backpacking,picnic, shelter shade canopy outdoor activity.For CALIFORNIA residents only: WARNING: This product contains chemicals including DEHP, which is known to the State of California to cause cancer and birth defects or other reproductive harm.Please note that by posting this Proposition 65 warning, we are notifying you that one or more of the Proposition 65 listed chemicals may be present in a product. With Unique Bargains' products, the exposure to these chemicals may be of no significant risk to you, but out of caution, we have elected to place this warning on our site to make sure our customers are informed.You can find more information at http://www.oehha.ca.gov/proposition-65/about-proposition-65. Aluminum Alloy 2 Holes Tent Rope Buckle Guyline Cord Adjuster Silver Tone 10pcsCategory: Guyline KitMade of Aluminum alloy material, light weight, convenient to carry.Good helper of outdoor adjust the rope,help to lock the cord and prevent it skids away.This is a new design products, more convenient and easy to use than other products.Ideal for camping,hiking,backpacking,picnic, shelter shade canopy outdoor activity.For CALIFORNIA residents only: WARNING: This product contains chemicals including DEHP, which is known to the State of California to cause cancer and birth defects or other reproductive harm.Please note that by posting this Proposition 65 warning, we are notifying you that one or more of the Proposition 65 listed chemicals may be present in a product. With Unique Bargains' products, the exposure to these chemicals may be of no significant risk to you, but out of caution, we have elected to place this warning on our site to make sure our customers are informed.You can find more information at http://www.oehha.ca.gov/proposition-65/about-proposition-65. Aluminum Alloy 2 Holes Tent Rope Buckle Guyline Cord Adjuster Silver Tone 20pcsCategory: Guyline KitMade of Aluminum alloy material, light weight, convenient to carry.Good helper of outdoor adjust the rope,help to lock the cord and prevent it skids away.This is a new design products, more convenient and easy to use than other products.Ideal for camping,hiking,backpacking,picnic, shelter shade canopy outdoor activity.For CALIFORNIA residents only: WARNING: This product contains chemicals including DEHP, which is known to the State of California to cause cancer and birth defects or other reproductive harm.Please note that by posting this Proposition 65 warning, we are notifying you that one or more of the Proposition 65 listed chemicals may be present in a product. With Unique Bargains' products, the exposure to these chemicals may be of no significant risk to you, but out of caution, we have elected to place this warning on our site to make sure our customers are informed.You can find more information at http://www.oehha.ca.gov/proposition-65/about-proposition-65. Paracord Planet Fluorescent Reflective 95lb 1.8mm Paracord – Many Colors Available – Available in Lengths of 10', 25', 50', 100', 250', 1000' – Ideal for Camping, Hiking, Tent Rope, GuylineCategory: Guyline KitParacord Planet is proud to offer premium 1.8mm Fluorescent Reflective 95lb Paracord. 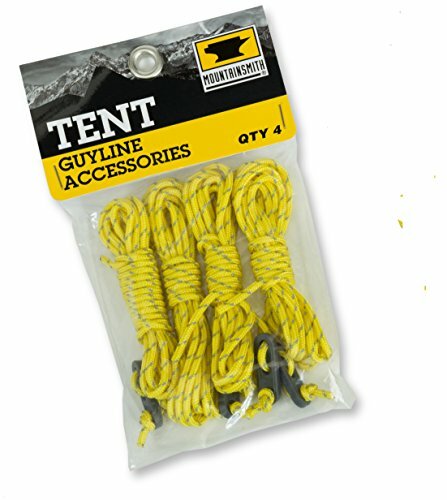 This lightweight and durable cord has a tensile strength of 95lbs, a diameter of 1.8mm and is ideal for any outdoor use, such stringing a tent rope, awning, canopy, clothesline, and more. Don't lose your tent in the dark with Paracord Planet's highly reflective and fluorescent 95 cord.Reflective 95 Cord is available in these colors:Scarlet Red, Acid Purple, Neon Orange, Neon Turquoise, Neon Green, Neon Pink, Neon Yellow.Reflective 95 Cord is available in these lengths:10 Feet, 25 Feet, 50 Feet, 100 Feet, 250 Feet, and 1000 Feet. 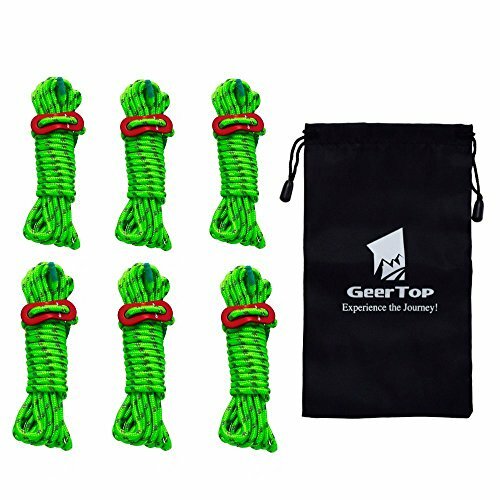 Unique Bargains 10pcs Aluminum Guyline Cord Rope Adjuster Blue for Tent Camping HikingCategory: Guyline KitMade of Aluminum alloy material, light weight, convenient to carry.Good helper of outdoor adjust the rope,help to lock the cord and prevent it skids away.Ideal for camping,hiking,backpacking,picnic, shelter shade canopy outdoor activity.For CALIFORNIA residents only: WARNING: This product contains chemicals including DEHP, which is known to the State of California to cause cancer and birth defects or other reproductive harm.Please note that by posting this Proposition 65 warning, we are notifying you that one or more of the Proposition 65 listed chemicals may be present in a product. With Unique Bargains' products, the exposure to these chemicals may be of no significant risk to you, but out of caution, we have elected to place this warning on our site to make sure our customers are informed.You can find more information at http://www.oehha.ca.gov/proposition-65/about-proposition-65. 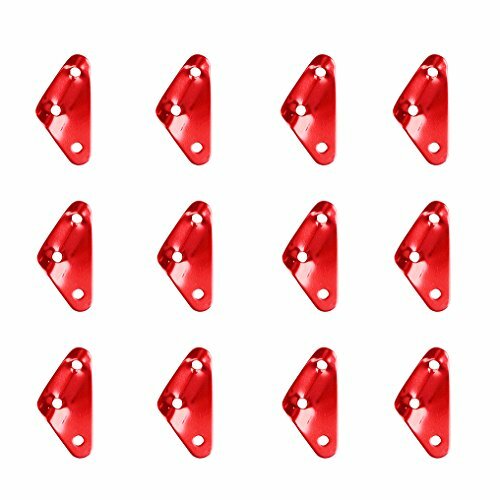 Unique Bargains 10pcs Aluminum Guyline Cord Rope Adjuster Red for Tent Camping Outdoor ActivityCategory: Guyline KitMade of Aluminum alloy material, light weight, convenient to carry.Good helper of outdoor adjust the rope,help to lock the cord and prevent it skids away.Ideal for camping,hiking,backpacking,picnic, shelter shade canopy outdoor activity.For CALIFORNIA residents only: WARNING: This product contains chemicals including DEHP, which is known to the State of California to cause cancer and birth defects or other reproductive harm.Please note that by posting this Proposition 65 warning, we are notifying you that one or more of the Proposition 65 listed chemicals may be present in a product. With Unique Bargains' products, the exposure to these chemicals may be of no significant risk to you, but out of caution, we have elected to place this warning on our site to make sure our customers are informed.You can find more information at http://www.oehha.ca.gov/proposition-65/about-proposition-65. 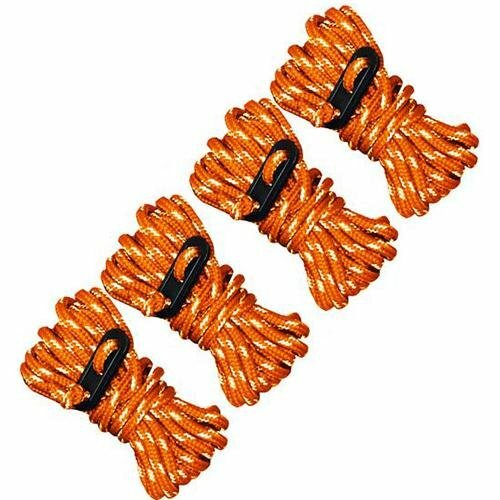 10pcs Triangle Rope Buckle Guyline Cord Adjuster Orange for Tent Camping HikingCategory: Guyline KitMade of Aluminum alloy material, light weight, convenient to carry.Good helper of outdoor adjust the rope,help to lock the cord and prevent it skids away.This is a new design products, more convenient and easy to use than other products.Ideal for camping,hiking,backpacking,picnic, shelter shade canopy outdoor activity.For CALIFORNIA residents only: WARNING: This product contains chemicals including DEHP, which is known to the State of California to cause cancer and birth defects or other reproductive harm.Please note that by posting this Proposition 65 warning, we are notifying you that one or more of the Proposition 65 listed chemicals may be present in a product. With Unique Bargains' products, the exposure to these chemicals may be of no significant risk to you, but out of caution, we have elected to place this warning on our site to make sure our customers are informed.You can find more information at http://www.oehha.ca.gov/proposition-65/about-proposition-65.